Campus View - Your unit will face the FIU campus. Bay View - Your unit will face the beautiful Biscayne Bay. Applicants are not required to provide a guarantor when leasing. *Terms apply. Offer may be discontinued at any time and without notice. 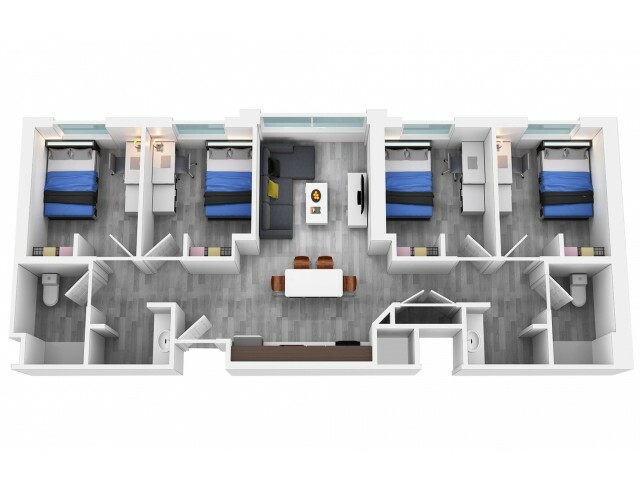 Lease today and pay $0.00 Deposit. *Terms apply. Offer may be discontinued at any time and without notice. 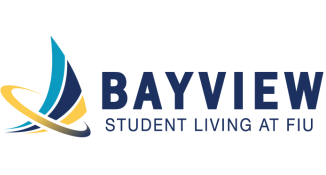 At Bayview, you'll enjoy a fun, contemporary student housing experience. 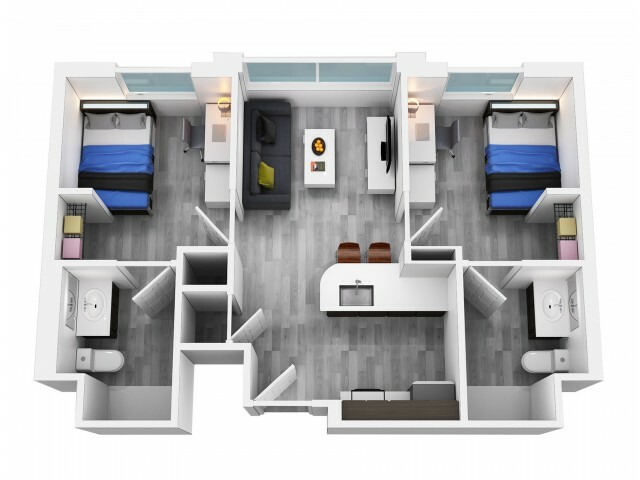 Choose from studio, two or four bedroom apartments with simple modern luxuries like centralized heating and air conditioning, faux hardwood floors, granite counter tops, and energy-efficient appliances like dishwashers and refrigerators with ice makers. Cable, Internet, electricity, and water are all part of your all-inclusive rental rate. In addition, a state-of-the-art intercom system is in every room to inform you if there is an emergency on campus.